Businesses in the City Centre, Docks and Quays have overwhelmingly approved proposals for a Business Improvement District for Gloucester in a ballot which closed on 29th June. During June, all eligible business ratepayers in the Gloucester Business Improvement District (BID) area were balloted, with 85.8% of those voting saying ‘yes’ to the proposals (and a vote in favour of 87.7% of the total rateable value of votes cast) in a legal ballot organised by Gloucester City Council on behalf of Gloucester BID. A Business Improvement District levies a small additional charge on eligible businesses, creating a fund to be used on priorities agreed by businesses. Gloucester BID has drawn up a comprehensive plan to improve the City Centre, Docks and Quays area. 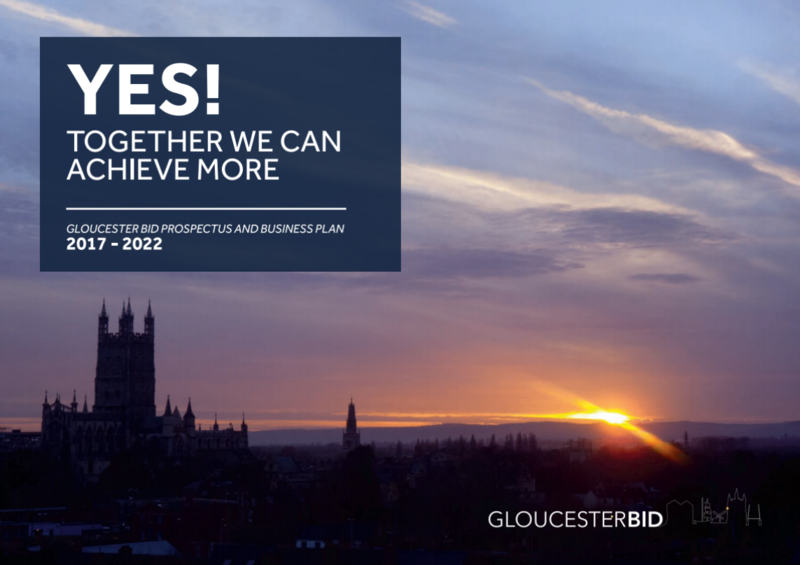 The BID Company will deliver an ambitious programme of improvements that will help make Gloucester a safe, attractive place to do business, shop, visit, study and invest. Building on investment to date in the regeneration of the City, the five-year programme will include measures to improve safety and security, improve the cleanliness and attractiveness of the City and increase marketing of the City and expand the events programme. The BID will also support businesses in the BID area to make cost savings through group purchasing of services, improving their profitability and creating jobs, and act as the ‘voice’ for those businesses to work with the City Council and public authorities to drive forward the regeneration of the City. The development of the BID was supported by the team at Marketing Gloucester. The BID will be funded by a ‘levy’ on around 600 business rate payers in the area (those with rateable values over £10,000) that will provide around £2.3m of funding towards the programme over 5 years.